New York in 1917 © Paris, musée de l’Armée, dist. RMN-GP. Émilie Cambier. 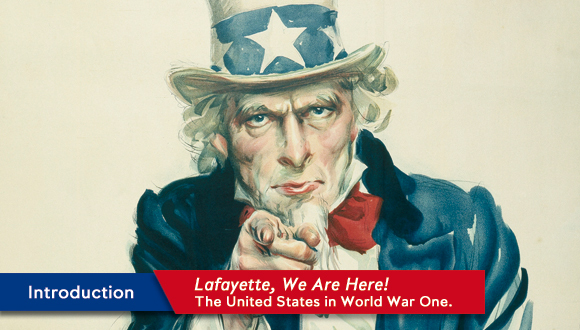 As part of the Commemorations of the Centenary of the Great War and the commemorative events held in 2017, the musée de l’Armée presents a documentary-exhibition on the entry of the United States of America in World War One and French-American relations throughout this major conflict. This exhibition has been awarded the “Label Centenaire” and the United States “World War One Centennial Commission” (WWICC). The exhibition is open to the public free of charge February 1 through to April 9, 1917. All documentary-exhibitions of the musée de l’Armée are posted online in a serialized form on our museum’s website where they are made available online in the form of virtual exhibition. 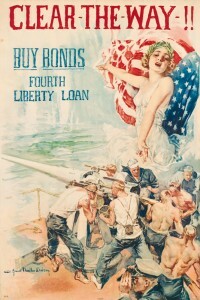 Poster by Howard Chandler Christy. © Paris, musée de l’Armée, dist. RMN-GP Émilie Cambier. 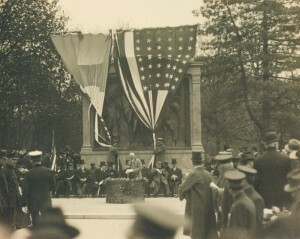 LThe pedagogical approach of this exhibition on the entry of the United States in WWI, starts from the perspective of the American Revolutionary War (1775-1783) fought by the American insurgents of the Thirteenth Colony against Great Britain to the Peace of Paris of 1783 that led to the American Independence. Photographs, paintings, posters and collections from the musée de l’Armée are presented in a narrative form on 22 panels fastened to the pillars of the Cour d’Honneur. This exhibition was made possible thanks to the generosity of the Bibliothèque de Documentation Internationale Contemporaine (BDIC), the Établissement de communication et de production audiovisuelle de la Défense (ECPAD) and the Library of Congress. Translated into English by Nadia Nin, musée de l’Armée. Exhibition curator Sylvie Picolet, musée de l’Armée. Acknowledgements : Chanda Barua, Chloé Bérard, Florian Cali, Émilie Cambier, Laurent Charbonneau, Jean-François Charcot, Laëtitia Desserrières, Anne-Laure Favoino, Agathe Formery, Jordan Gaspin, Charlotte Georges-Picot, Valérie Godard, Solène Granier, David Guillet, Anne Junger, François Lagrange, Olivia Laurent, Estelle Marie, Axel Meimoun, Michèle Mézenge, Nadia Nin, Prune Paycha, Anthony Petiteau, Pascal Segrette, Jean-Marie Van Hove of the musée de l’Armée and Christiane Guttinger and her husband. 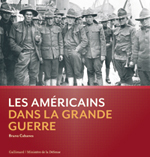 A book on the entry of the United States of America co-published by the DMPA (Directorate of Memory, Heritage and Archives and Gallimard Publishing in partnership with the ECPAD (Audiovisual Production Company for the Department of Defence).